The Small White Orchid is now extremely rare and in steep decline throughout the UK, especially in the south, although there are still reasonable numbers to be found in parts of Scotland. 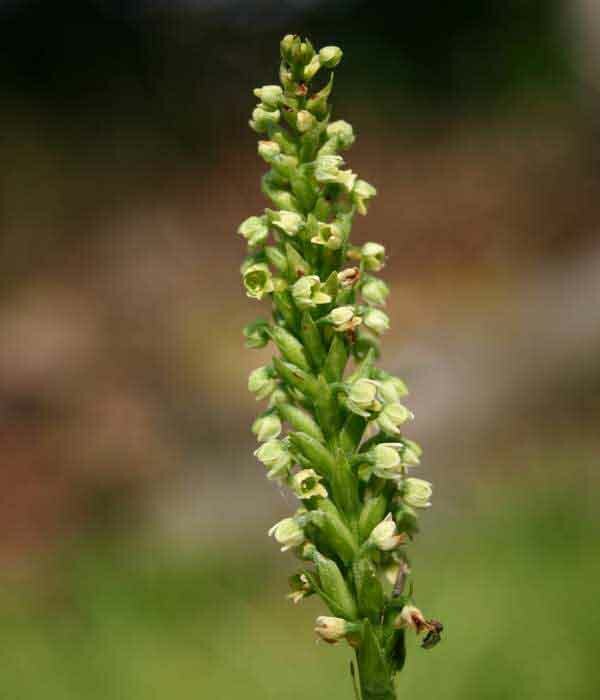 It is more likely that you will find this orchid in northern and central European mainland countries including Slovenia. The plant is small and rather difficult to spot, and the stem seldom grows more that 15 cm tall. 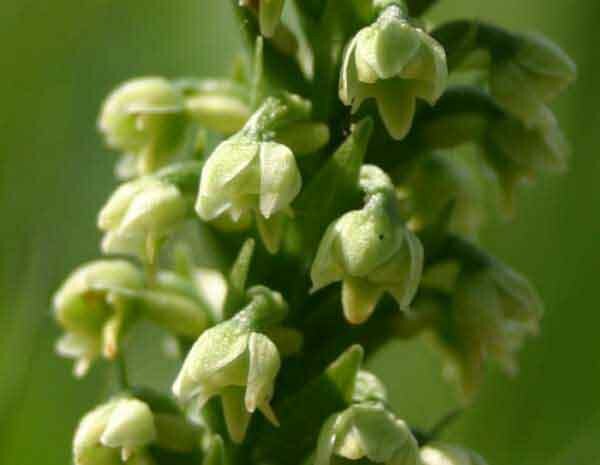 It occurs singly or in small groups often along with the Fragrant Orchid - Gymnadenia conopsea . It prefers calcareous to mildly acidic soils and appers in rough pastures. The flowers fade extremely quickly with the lower ones turning brown before those higher up on the stem have even opened. The specimen shown above was photographed in Wales on a protected site in early June. Many large colonies of the Small White Orchid occur in Iceland.